I have followed the latest Antarctic rescue with a great deal of interest and pride for my nation. This is the third time that Kenn Borek Air of Calgary has sent a team down to the other end of the world in winter to rescue scientists at the South Pole. The South Pole is difficult to get to at the best of times, but in winter it is next to impossible. The Americans fly in there in the summer months, but they stop going there when the weather starts its winter blast. Winter down there is frightening, with extreme winter conditions coupled with total darkness. To go there in the winter you need an extremely well trained, professional crew and a very special airplane that can survive the -70 degree temperatures, blowing snow and horrible wind shifts. Enter the Canadian-designed and built de Havilland Canada DHC-6 Twin Otter or "Twotter" as many of their pilots call them. It came from a long line of specially built bush planes, designed to fly in Canada's vast North. First of the line was the little DHC-2 Beaver, probably the most famous bush plane of all time. Then came its big brother, DHC-3 Otter. Both were single piston engine planes built to be happy on wheels, skis, or floats. The last in that series was the Twin Otter with turbo-prop engines. That was in 1965! The plane was developed from the Otter and was a huge success. But less than 1000 were built before production ended in 1988, a relatively small number for the production of a successful plane. Even though production ended, the sturdy little "Twotters" flew on to fame. Now used all over the globe, they still shine as bush planes, flying in the hostile cold of the worlds polar regions. 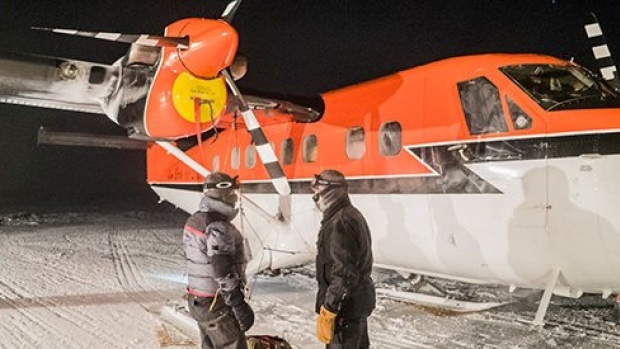 Despite the Hollywood stories to the contrary, all three rescues made at the South Pole in the winter have been in DHC-6 Twin Otters from Kenn Borek Air! In fact I believe Kenn Borek Air has the world's largest fleet of Twin Otters! Makes you proud to be Canadian, doesn't it? You can see the world's second DHC-6 Twin Otter at the Aero Space Museum of Calgary on McKnight Boulevard, across from the Port O' Call Inn. It's registry is CF-PAT and it first flew in 1965. It was fully restored for the Museum by Kenn Borek Air who flew it for many years. The DHC-6 Twin Otter was so successful they are now being built again! Viking Air of Calgary and the west coast is building brand new beautiful Twin Otters under license! These are gorgeous, updated versions of that famous airplane! Renaming Parc de Vimy is Insulting! Economy vs. the Environment: A Silly Choice! 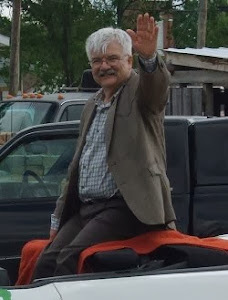 What a Day at the 98th Country Fair!